We’re madly working on mad libs over here, cranking out silly stories for the Retail Therapy Night tomorrow evening. From 4 - 7 pm, downtown businesses will be [VERB ENDING IN -ING], just for your shopping pleasure. In the bookstore, we’ll have snacks and a little fill-in-the-blank narrative game for you to do. Fill out the card and leave it with us, and we’ll pick a couple of our favorites to share with you next week (and winners will get prizes, of course). It’ll be a/an [ADJECTIVE] good time. We still have BLIND DATE books, and more are being wrapped all the time. Because, you know, taking home a book you know very little about but which has presented itself as terribly alluring and all mysterious is why you visit the bookstore, right? A week or so ago, Evelyn posted the idea of having a “book night” in the store—a few hours in the bookstore in the evening—and the idea was met with rousing encouragement from our customers, and so we’ve put together a few nights in the bookstore (click on the dates for links to where you can buy tickets). Feb 23rd. Cozy Night at the Bookstore. 7pm - 9pm. Advance weather reporting says that it’ll be cold and rainy that night, and what better a night to come down to your bookstore and hang out with a cup of warm tea, cookies, and a few friends? We’ll keep the lights low and the snacks handy, and we’re only selling eight tickets. March 8th. Spooky Night, 8pm - 10pm. We’ve convinced Veil Paranormal to come back and do some spooky investigating in the building. Last time the team was here, they were pretty sure they got some readings about an old lady who haunts the stacks. Colby calls her ‘Daphne,’ but maybe we’ll get some better insight on this spooky night in the bookstore. Only twelve tickets for this one, and we’ll have snacks and adult beverages. March 11th. Kids Night, 6:30pm - 8:30pm. On this night, we’ll have local author Charli Riggle presenting the story of Pascha—the Orthodox Christian Eastern, which is celebrated in the middle of the night. Kids will get a chance to do a craft, and they’ll get a copy of the book and a flashlight for haunting the shelves. Twenty tickets are available for this event. Speaking of tickets, we’ve already sold more tickets for Coloring March than we’ve had for our previous coloring events, and we’re still a month out from the event. This could be the one where we have more colorists than chairs, so don’t wait until the last minute to buy your tickets. We’re going upgrade our classification of the adult coloring book “fad.” It’s more than a “craze” now, and probably even past a “phase,” and yeah, let’s call it a “lifestyle.” Because if the latest coloring books that we’ve been seeing are the trend and not the outliers or late arrivals, then we’re definitely settling in to a fabulous age of leisure time activities. In the meantime, here are some new books in the store. The newest release from another local favorite, Marissa Meyer, Stars Above collects nine stories about the characters from the Lunar Chronicles (including five that haven’t been previously published). Did we mention that our copies are all signed? 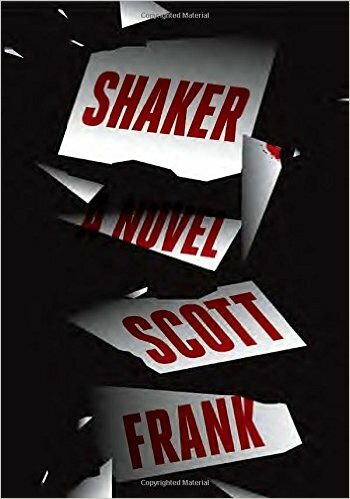 Scott Frank—who has written the screenplays for Out of Sight, Minority Report, A Walk Among the Tombstones, Marley & Me, Heaven’s Prisoners, and Dead Again (among others)—offers up a debut crime novel that starts with an earthquake, a case of mistaken identity, and a shoot-out or two. We imagine things only get more interesting from there. 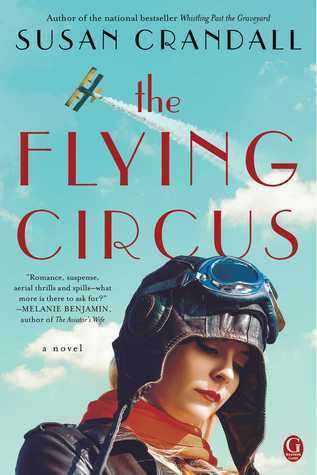 And finally, Susan Crandall’s The Flying Circus is now out in paperback. 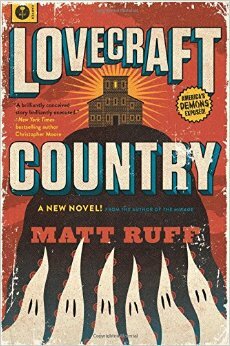 Barnstormers, crackerjack mechanics, daredevil debutantes, and a small dog all collide in the 1920s American Midwest. What more could you ask for? 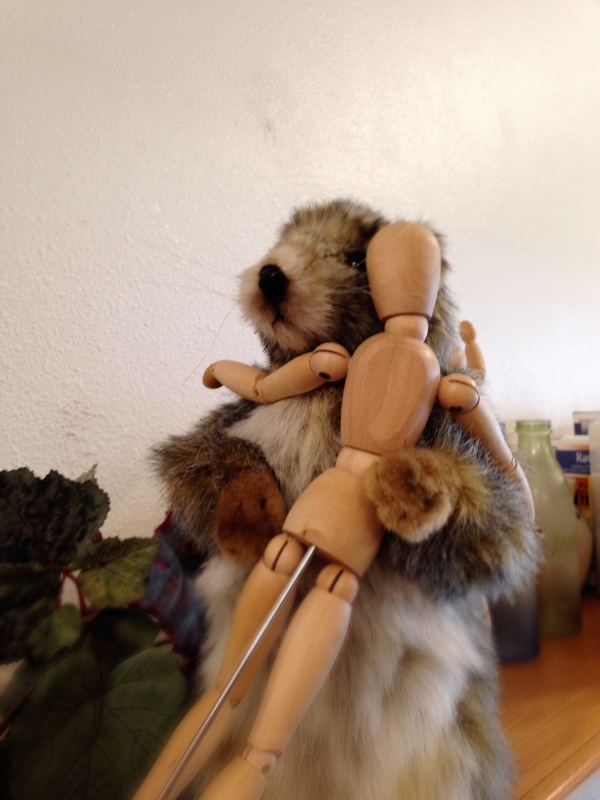 Marmot hugging is a national pastime. Or at least, it should be, according to Colby.